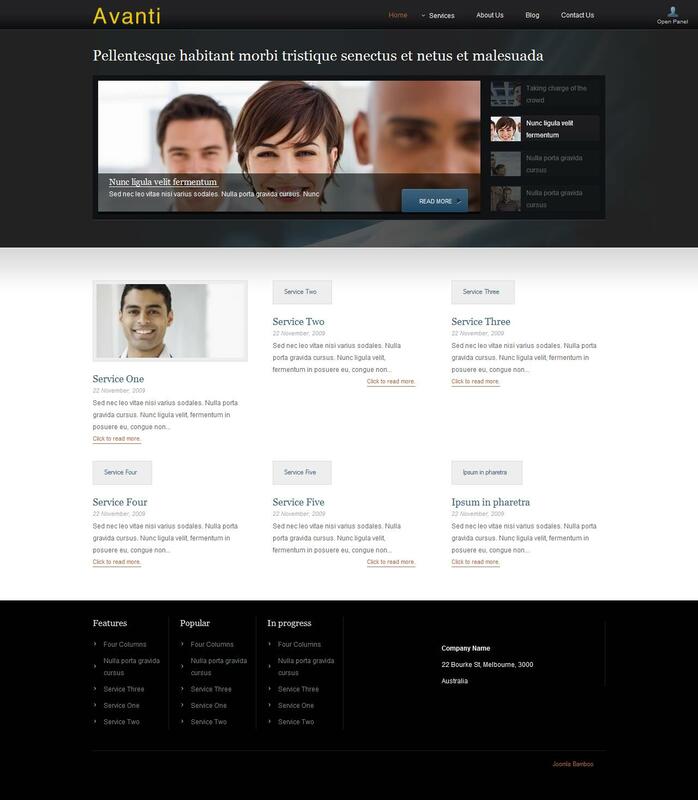 JB Avanti - professional business template from the team JoomlaBamboo, which supports version 2.5 and Joomla 1.7. Full support for component K2, additional templates to him and JB Slideshow3 studio module provides a flexible display and rotation of materials on the site. Corporate framework Zen Grid framework allows full access to all settings template, the width of the layout to choosing color schemes and design support for mobile devices, running on popular operating systems Android and iOS, is guaranteed to provide the correct display of the site to them. Availability of detailed documentation will help in a few minutes to deal with all the settings and capabilities of the platform. Flexible modular design layout consisting of 60 module positions capable of organizing the mapping units according to requirements when designing a website.